I put together a Halloween Mantel! 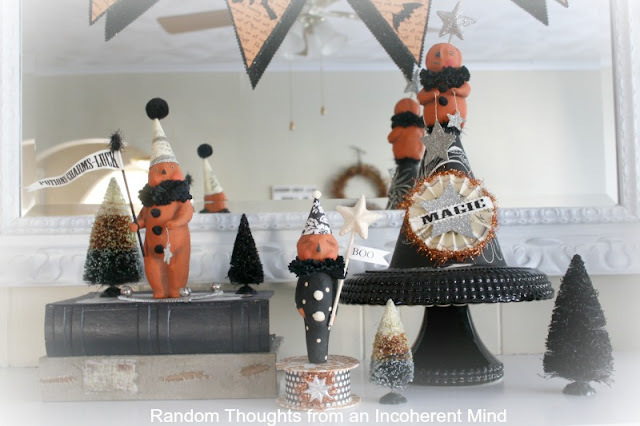 My very first Halloween Mantel! I wanted the mantel to have a vintage feel to it. I know you've most likely seen these fellas on my blog in the past. My Dee Foust pumpkinhead people along with a few bottle brush trees. Mercury glass is a favorite of mine. and gives alot of sparkle too! Did you decorate your mantel for Halloween this year? Very cute. Loving the owl. Gina your mantel looks so pretty! Love all those pretty decorations! I LOVE your vintage mantle, Gina!! Your sure put together a great look. I love the owl!!! Was t that so sweet of Michele? What a thoughtful gift!! Gina I love your mantel! So cute and that adorable owl with the hat makes me smile. Thanks for sharing your vintage treasures with us! I love your Halloween mantle! It sparkles with whimsical fun. Hope you have a great week! Looks awesome Gina. I have been patiently waiting, and it was worth the wait. Love the vintage feel. 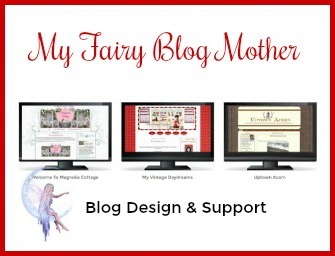 Love this and would love you to link up to Vintage Inspiration this week! Your mantel is gorgeous Gina! I just love all the white brick! I clicked on your house tour button the other day and I don't know why but I didn't realize how "white" your style is...I love it! For some reason, I thought your stuff was darker? 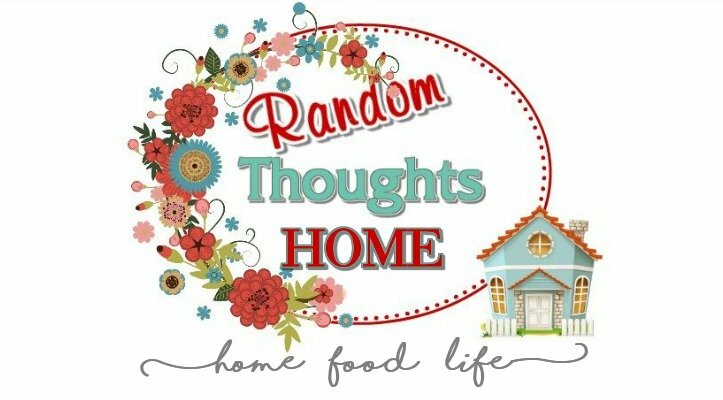 But your house is seriously gorgeous, you're so lucky!!! I love it and wish that I had a mantle!!! 10 more days! 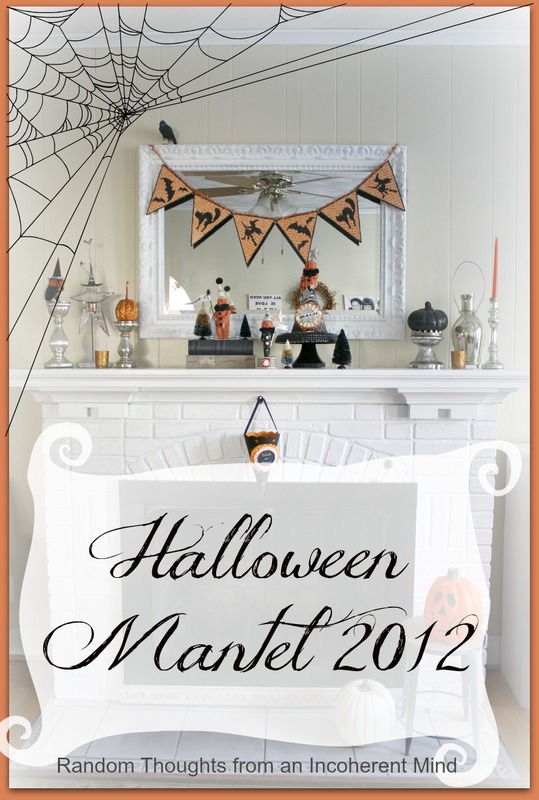 Gina your mantle looks spooktacular! 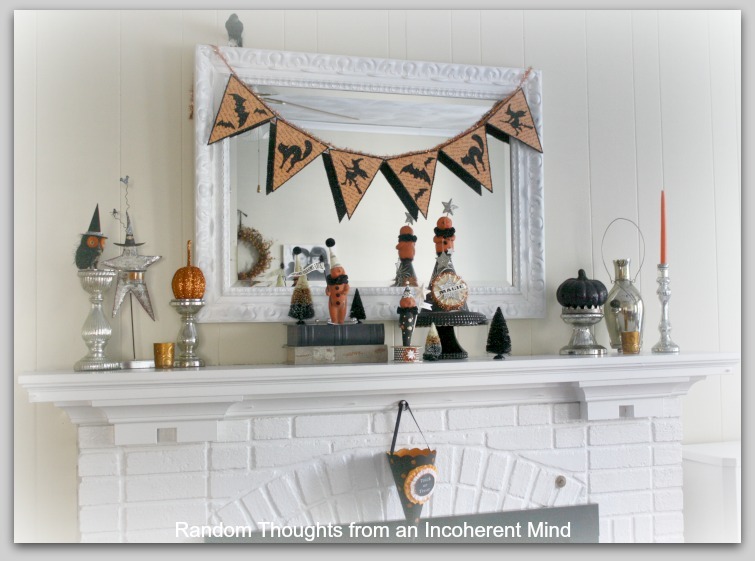 Yours has got to be one of the best mantels I've seen among so many on blogland. All your decorations are incredible. Your Dee Foust pumpkin head people are incredible, it all is. Love the cone too as that's one of my favorite things to make. Your version is great. Would you mind if I used your idea of it? Thx for sharing your wonderful vintage mantel with us. I did not decorate the mantel for Halloween. I did more Halloween decorating this year than last though. I like your mantel. I like anything with a vintage feel. Like the folk art pumpkin heads and the star. Hi Gina, your mantle looks like it was done by an pro, not by a first timer! The little pumpkin people are cute as well as the other decorations. 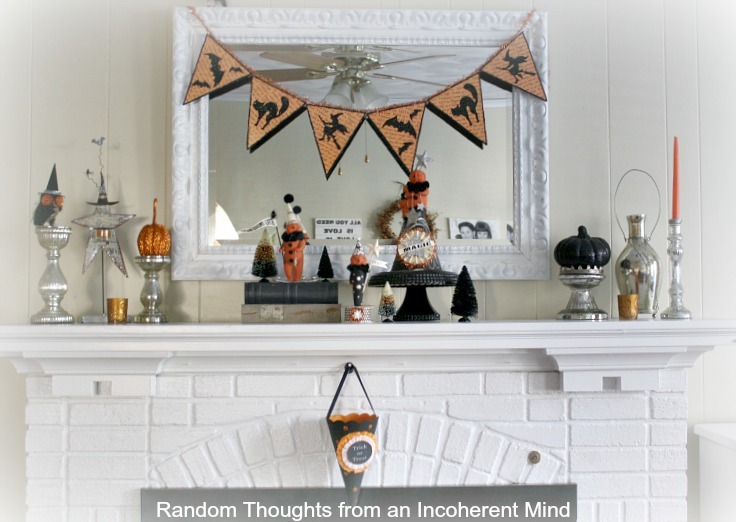 I have never decorated the mantle specifically for Halloween, just for fall in general. Oh, Gina, your mantel is just delightful! 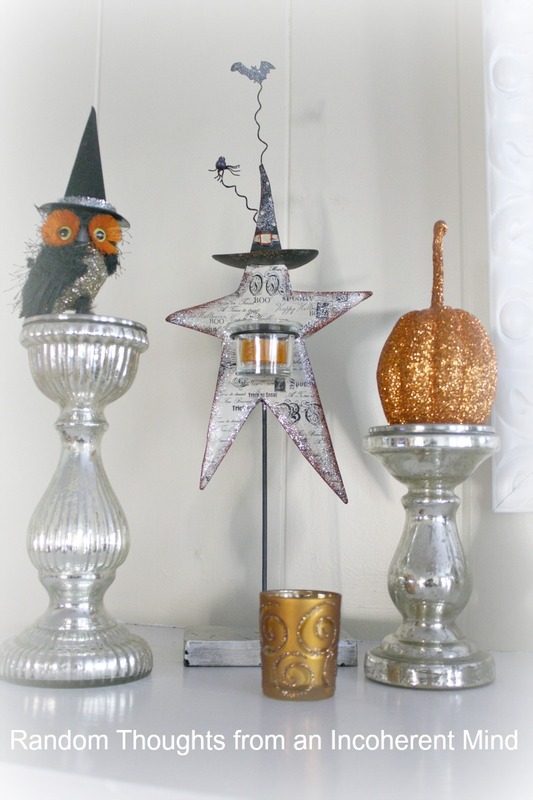 Love your mercury glass and the pumpkin-head people. May have to try it next year if I am up for it. Gina you nailed it. Your Halloween mantel looks vintage and wonderful. Gina, so cute... love it! if you would like to share it One More Time Share it One More Time is up and running. Oh no you caved to peer pressure LOL! Nope I have not done any fall decorating anywhere...YIKKES! Your mantle looks perfect, I love it! So cute!! Yet another great mantel. I will have one in 2 days....yep, just in time to decorate for Halloween!! I'd say you did a good job. My fav is that little ghost witch star. great job on the mantle. 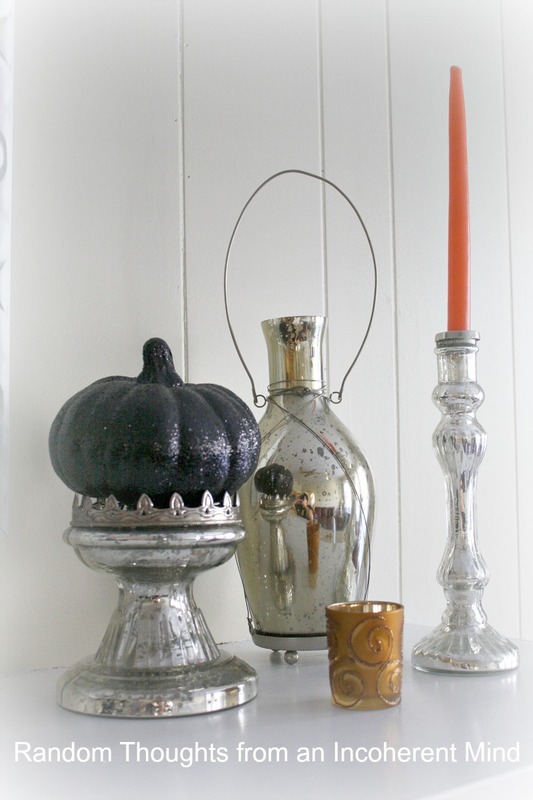 It certainly has the vintage feel going for it.. with the cute vintage Halloween decorations, and that mercury glass... awesome! Your mantel looks great, Gina! I love those little black trees and the mercury glass. I don't have a mantle to decorate. I wish I did! It looks beautiful Gina. The vintage look decor is fantastic. You did a great job for your first time. Your festive mantel looks so cute. Happy Halloween.